If this can help, I've recently bought a multiple lens AF chip from James Lao to rechip a Sigma 1.6X AF Multiconverter for Nikon Ai lenses (but I use Tamron Adaptall-2 lenses with Nikon socket, so for me this is a Sony/Minolta Adaptall-2 1.6X AF Multiconverter). The chip I've bought has an uncommon number of contacts, six instead the usual five or eight ones. Probably this is a new "James Lao" version of this AFC-L4B chip. I've ordered it for a 1.6X Teleconverter, so focal lenght of the mounted lens have been increased by a 1.6X factor and brightness decreased of 1 f/stop ( plus sometimes +1/3 EV on camera body). The Sigma Multiconverter now allows to use some Tamron Adaptall-2 lenses (90/2.8, 180/2.5 and 300/2.8) in S and P mode too, with AF. I can use two zooms too (70-150/2.8 and 80-200/2.8), but focal lenght reported into EXIF is correct only for two / three FL and this has to been switched into adapter, making correct use of zooms a bit dificult. I think it may be possible to make a chip with two multiple-position switches to choose manually a FL and an f/# without work with camera buttons, but this requires a bit more effort to mount switches on adapters ( bluethooth or wi-fi technology may help, but one must write a smartphone app too....). My question is: I want to buy a Minolta Maxxum/Sony Alpha mounted 400mm f5.6 Sigma tele lens( has 72mm dia. filter)that I am told fits Minolta 7000 but (not i) version Minolta film cameras. This Sigma lens is also listed in Safari Green color. The store, KEH in Atlanta, GA(USA) also is listing 3 other lenses ( same) but in diffeent conditions. I have been in Contack with KEH and sales person said this Safari/Green ( not i) can not be used on Minolta 7d or 5D camera. Does anyone know if the others (sigma 400mm f5.6 AF) that are Listed would fit my KM-5D? Will I need to have the chip replaced or re-chiped with a JamesLaoT chip? Why not just get an AF 70-300mm lens such as these 2 types listed on evilBay: 271270442012 & 141051252037. I can't think you'll get any sort of quality of image with the 400mm you're referring to beyond 300mm anyway (have you checked user reviews on the Dyxum lens database). If you ever look for Tokina SD AF lenses, they look identical but have different coloured alignment spots. The pale blue one is for SLR, the yellowish and red are for digital (just in case you ever buy one), so always check images of the lens, and if you can't see the spot colour, ask the vendor and body-swerve the pale blue unless you're shooting with an A-Mount SLR. 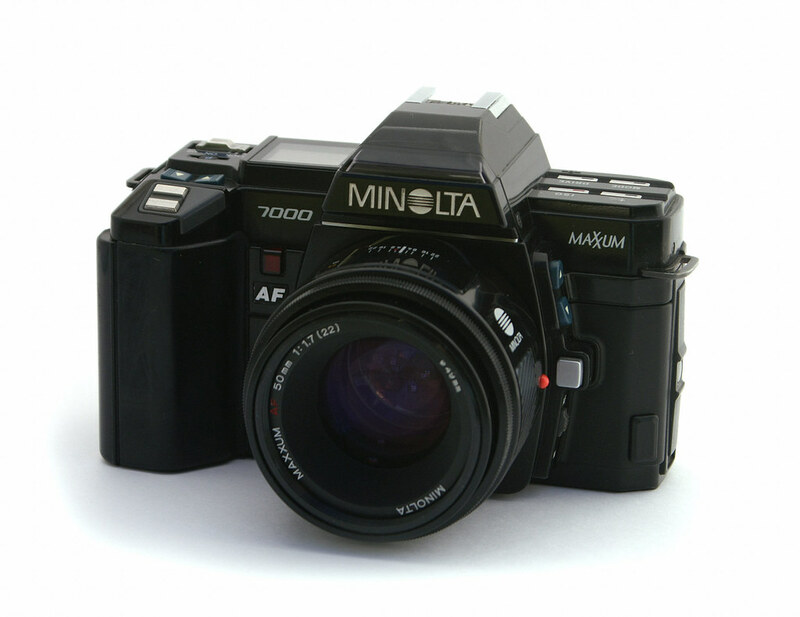 The Minolta 7000 is A-Mount the same as the Maxxum/Dynax/Alpha so will fit DSLR's, but you probably knew that anyway. Sorry to hijack this thread but I don't where to post this. One month ago I ordered a chipped M42 adapter from James Lao website and paid with paypal. I got no news since. I mailed James through dyxum PM and other email addresses I found but still got no answer. Has anyone bought from him recently ? Is there another reliable provider selling chipped M42 adapters ? I've experienced some troubles in the past contacting James Lao. and payd it using PayPal ( like you, I suppose). .... but this last one seems to be inactive. Don't worry about answering delays: I've experienced periods of two weeks without replies.... but the chip was then delivered and I'm happy with it. Thanks for this info Luca. I'm trying the hotmail address. jameslao.com seems to be another person. Tell me, did you get any reply before or after receiving the adapter ? was good both for PayPal than to communicate with James Lao. I've had several contacts with him do decide the best data to put into a "four lens AF chip for rechipping" to put into a Sigma AF 1,6X Multiconverter. The last time I wrote to James Lao was after received the chip, 2nd August 2013. Gresham, OR 97030 5032 Forbes Ave.
distributed systems and robotics. I'm looking for a full-time position. My project involved developing scalable Java web services and a Ruby on Rails front-end. team was responsible for. I used agile development and TDD techniques. collection/reporting web application and a part defect tracking tool. The schedule was originally a .pdf document. I've had no response on @hotmail by James Lao, but every time I wrote him on the others adresses I've waited for days an answer, but he answered me every time. Well at least I received this morning an email from paypal saying the adapter has been shipped. Maybe this conversation with Velocina helped. now we know that almost the PayPal address ( reshg@sina.com , please correct me if it isn't the right one ) is working. Luca, this is the correct email address. I received the adapter yesterday. Only five days from Hong-Kong to Guadeloupe. Eight years ago I would have waited 3 months ! This planet becomes smaller each day. Only for statistics, the chip you've bought from James Lao is a single or four lens type ? How many contacts has your chip ? the Multiconverter makes these lenses AF ones and the A700 adds stabilization too. I bought a single lens chip. I prefer having the ring always attached to the lens so next time I'm buying a M42 lens, I'll order a new adapter. I'm new in M42 lenses. I bought a cheap Helios 58mm f2 as I was fascinated by the swirly bokeh. Really funny to focus with the focus ring and then to depress the shutter button to have the focus confirm. To answer your question, the chip has 6 contacts. Thanks for the reply to my previous post: now I've to investigate which is the purpose of the sixth contact on the chip, probably a fixed voltage supply, indepenndent from the main switch on the camera, that is always connected to the positive lead of the battery: I suspect this because of the fact that the change of setup of my four lenses chip is done depressing the lens release button on the camera when the power on switch is in "OFF" position and the memory (CF and/or Memory stick )activity led is estinguished. In this condition the usual "+" supply pin to the lens (one of the basic five ones) is disconnected from battery, but the chip changes setup..... and this is very strange if the camera don't supplies it curent... From this the suspect of the purpose of the sixth pin on James Lao "programmable" adapters. Your single lens one probably does not need this supplementar pin ( never changes setup, so processing without power supply isn't required), but make the same printed board for both chip kinds is simpler than two. Probably the two adapters differ themselves only in the firmware programmed into. I've received one of James Lao's chipped adapters a few weeks ago, and had no problems with delivery or with e-mail conversations. Mine has the 6-pin contact though it is a single version (400mm f5.6). I have had some troubles with it, though. Occasionally when I take a picture, it takes two and then freezes with an error message. I have to remove the camera battery to reset it and it then may or may not do the same again. Not sure what the cause is, but I wonder if it is connected with the fact that the adapter doesn't always fit onto the camera smoothly - sometimes it doesn't want to go on at all. I also had some trouble getting it off an M42 teleconverter when it *really* didn't want to come off (the rotating section on the TC just spun instead). I felt that the cause was the high-friction matt finish on the adapter, so I rubbed the surface down gently with a piece of soft wood (!) and haven't had that trouble since. But when it's working it works well - AF confirm light, FL display, and IS does work.